Conveniently compact with go-anywhere suitcase-style mobility and simple setup, Owlee Condor packs the power and long range capacity for great sound anytime and anywhere, with no strings attached. 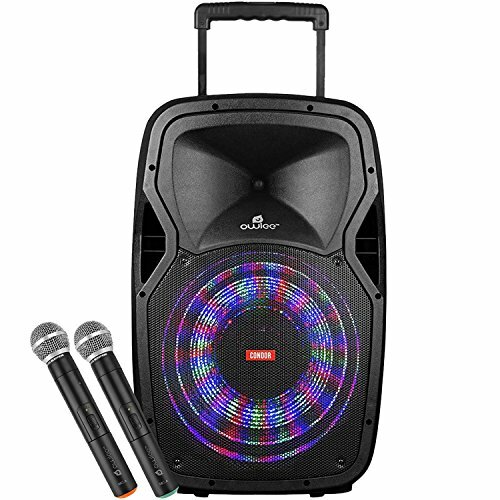 Its self contained design, full range speakers, versatile features and whopping 360 watts of power deliver clear and reliable sound, ideal for performances and professional presentations. Owlee Condor is an all-in-one live Sound solution for indoor and outdoor events, conferences, classrooms, public announcements, demonstrations, and endless other possibilities. If you have any questions about this product by Owlee, contact us by completing and submitting the form below. If you are looking for a specif part number, please include it with your message.